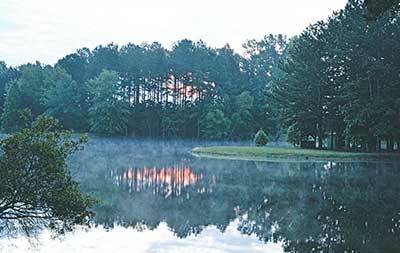 Writer, John Sloan of "An Outdoor Life" recently visited White Oak Plantation for some bass and bream fishing. Click here to read his account of his latest visit to the lodge. Do you want your kids to break away from the TV, iPhone, internet or video games? 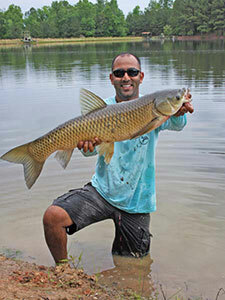 Do want to see them experience the thrill of baiting their own hook and pulling in their own catch? Fishing at White Oak offers excitement and the opportunity for all ages to interact and build a memory to last a lifetime. 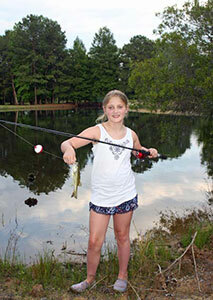 Family Bass and Bream Fishing includes 2 days of fishing for 1 or 2 people in the Lodge Lake. Packages are only available on the weekends. Bank fishing only. Bring long sleeve shirts and pants, hats, rubber boots, sun glasses, bug spray and sun screen. 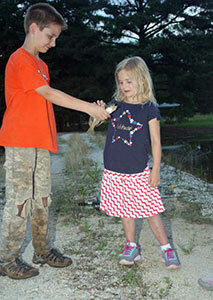 Fishing equipment needed: rods and reels or cane poles, artificial lures , crickets, worms or catfish bait. No live minnows, shiners, etc. Limits set daily. Limits set on arrival. Lodging is in a heated and air conditioned cabin with 3 bedrooms and 2 baths, complete kitchen, utensils, linens – grilling outside permitted. The cabin will accommodate 6 people. Package does not include meals. 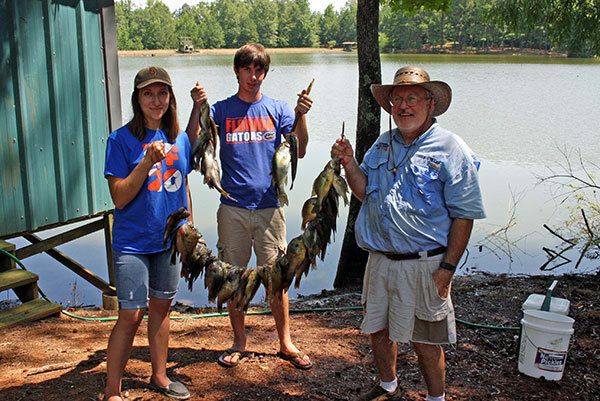 Extra Guests: Two extra fishermen, under age 16, may be included for $200.00 each. NOTE: As this package is intended for families the maximum number of adults fishing is limited to two. The Lodge Lake has been stocked for over 20 years with Florida Bass, Tiger Bass, Gorilla Bass, Blue Gills, Shell crackers and Catfish. The record bass taken from the lake is 12 lbs 8 oz. Special Quotes Given Upon Request, call 334.727.9258.